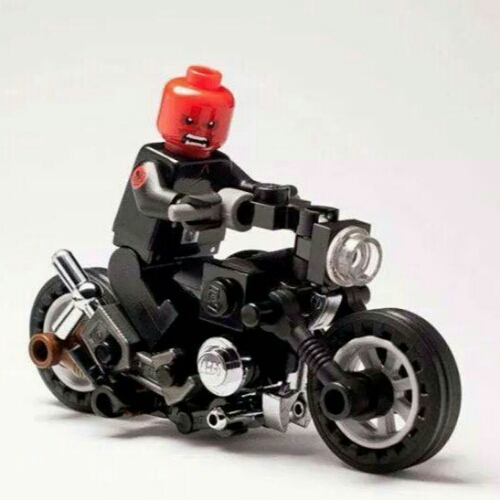 Angry Toy: Black brick biker (*assembly required). 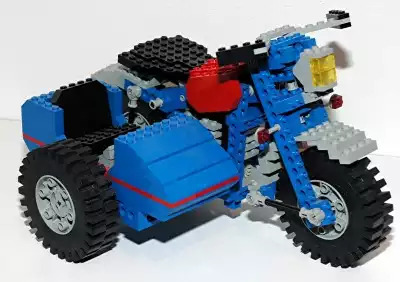 I learned a lit about how things are built using the basic blocks of LEGO. These days there are countless mouldings to allow anything to be made. 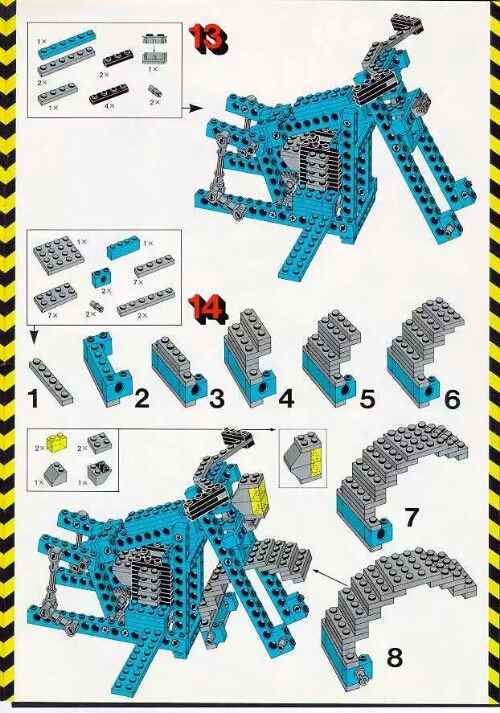 Early Technic sets started the idea of gears, axles, riveted beams and the like. 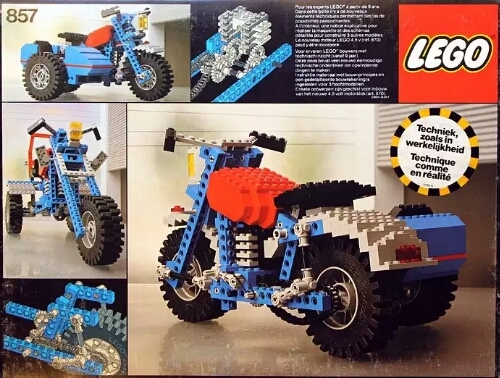 An early motorbike kit had the option of building a combination or chopper, both with working piston engine and chain drive. I loved the assembly drawings.